Richard Kalikow's real estate practice focuses on both U.S. and international clients, including institutional and private investors. He handles leasing, acquisitions, financings, development, joint ventures, real estate funds and other real estate-related matters. In addition, he represents lenders and borrowers nationally in workouts and restructurings. Richard has over thirty-five years of experience in sophisticated domestic and international real estate transactions, having handled the acquisition, financing and development of numerous office buildings, shopping centers, condominiums and restaurants all over the world. In addition to a number of high-profile properties in Manhattan and New Jersey, including the Bank Santander building at 45 East 53rd Street, 666 Fifth Avenue, Three Times Square, and the Harborside Financial Center, Richard has worked on projects in Boston (53 State Street) and Frankfurt, Germany (the Messeturm). He also handled national leasing programs for Blackrock and KPMG, and advised Chadbourne & Parke, Brown Brothers Harriman, National Financial Partners, Mylan Laboratories and PricewaterhouseCoopers in the leasing of their respective New York headquarters. Foreign institutional investors, including Canada's Oxford Properties Group and the Canada Pension Plan Investment Board have relied on Richard's counsel in connection with their investments in real estate funds, and joint ventures in the U.S. to acquire and develop properties. He also has represented individual Irish and Israeli investors in connection with their investment in condominium and mixed-use developments in Manhattan. Utilizing the experience gained in negotiating complex real estate and business transactions over the course of his long legal career, Richard has been actively involved in counseling clients in connection with generational transfers, restructurings and succession planning for family owned real estate businesses. 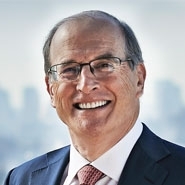 Prior to joining Herrick, Richard was a partner at Diamond McCarthy LLP, and before that, he was a partner at Skadden, Arps, Slate, Meagher & Flom LLP for 25 years.